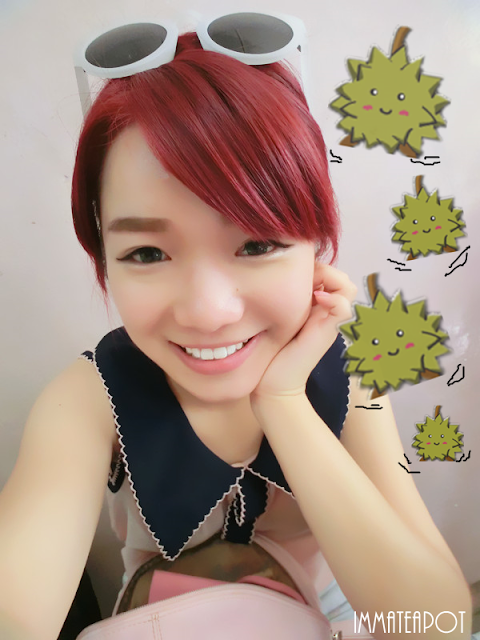 So, for this part will be all about food in Jonker Street and it's quite durian-licious. 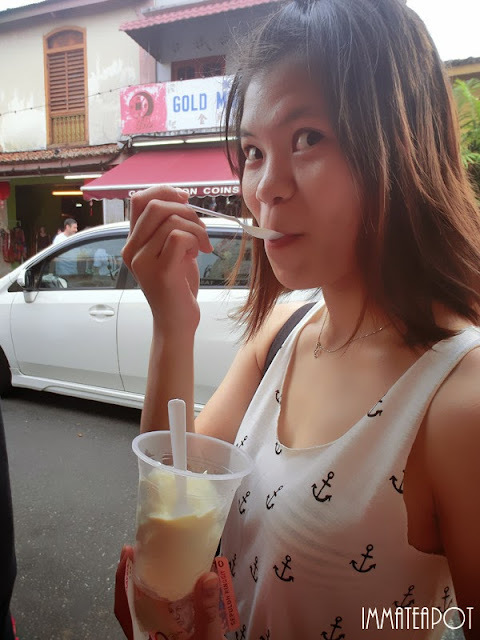 Firstly, we have tried on Durian Ice Cream. 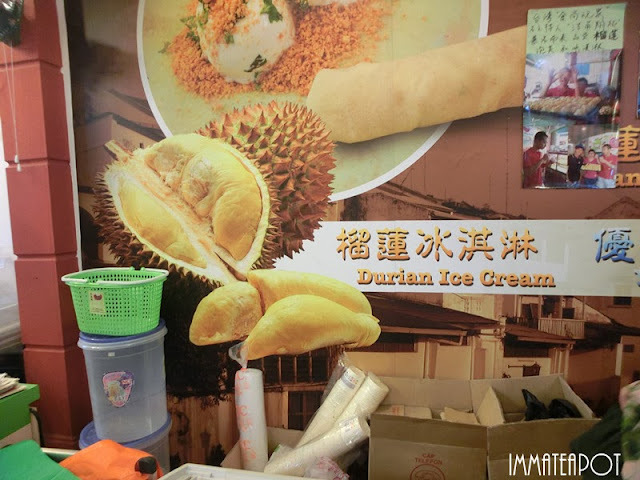 I have never tried durian ice cream excluding durian potong. Besides selling durian ice cream, they are selling some of the yogurts with different flavor. The ice cream is soft and creamy. It's quite sweet. Make sure you share with your partner because having too much of these will make you feel greasy. By the way, sharing is caring. As we know, when ever there's long queue/crowd, there's the good food! 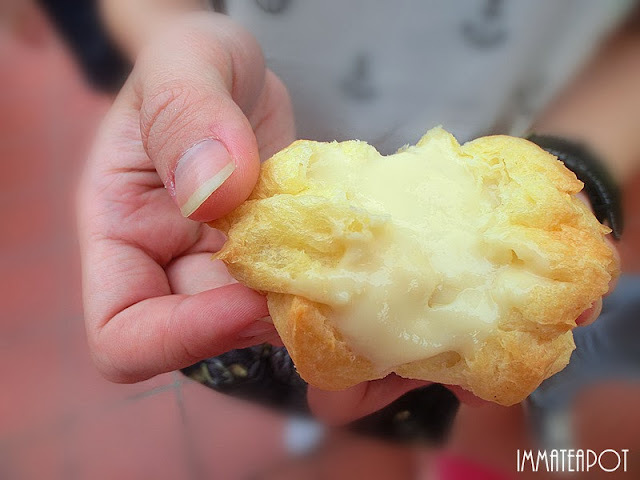 So here we went to try the well-known snacks in Malacca, One Bite Durian Puff! Oh my god!!! 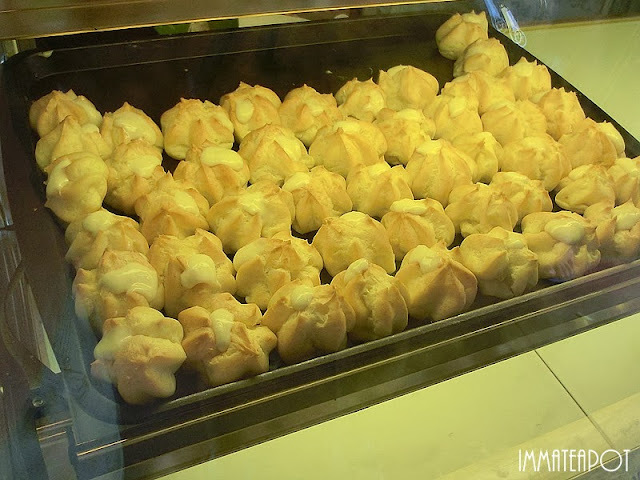 See how the durian cream burst through the puff, and explode! It's like a volcano! The thickness of the puff's skin is just fine and it's full of durian cream! 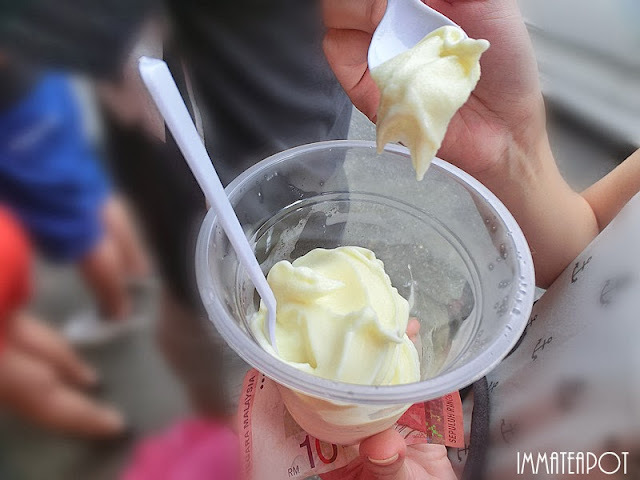 One bite of it and the delicate durian cream will spread all over your mouth, mouthwatering!!! The sweetness of cream is just fine, eat with the soft yet slightly crunchy puff skin! 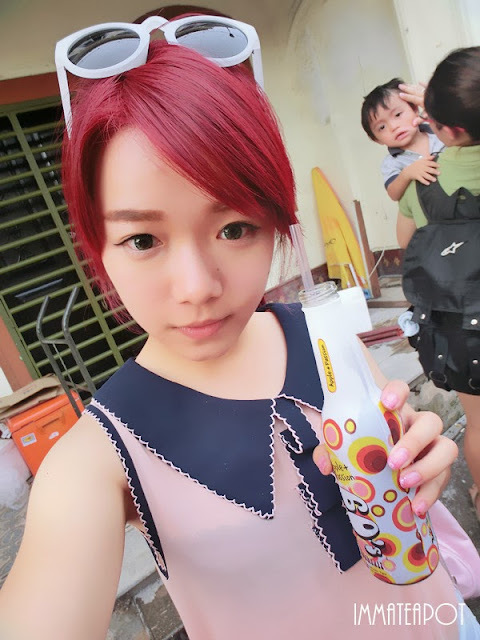 I got myself Apple + Passion because I love passion fruits a lot. 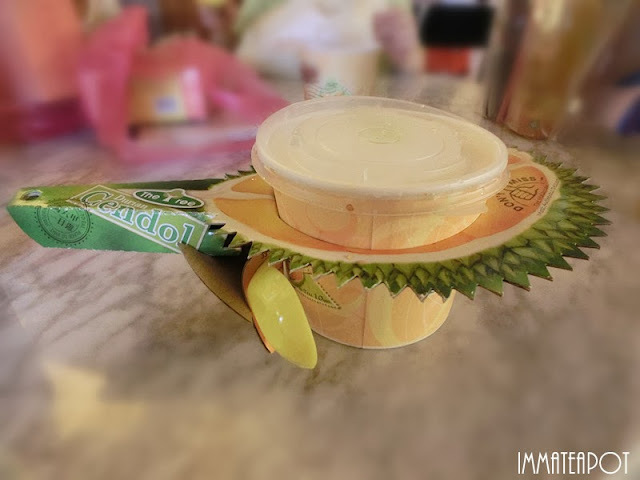 Durian Cendol? LOL No way! 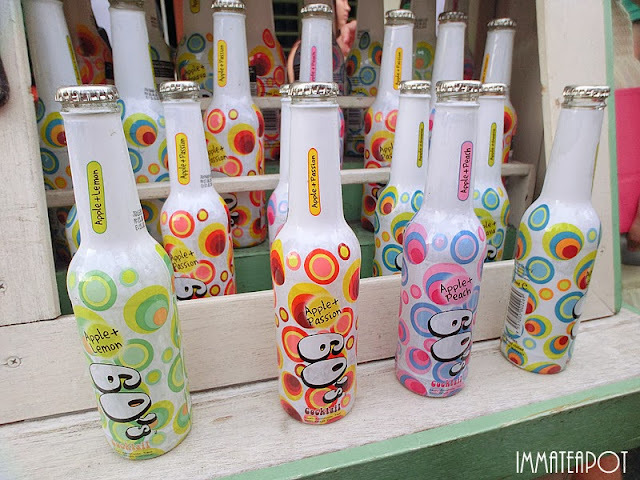 After having too much of durian-made desserts, we decided to have a normal ice beverage. Nothing much to comment on these. I felt its just like what we have in KL. 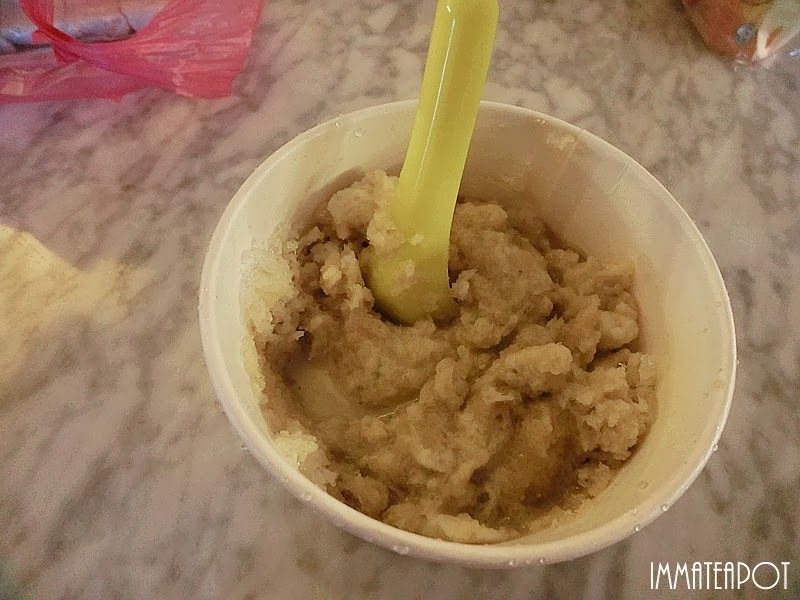 Yet, durian cendol is their signature desserts. I love their way of packaging anyway, so D-U-R-I-A-N-I-S-H. Haha! 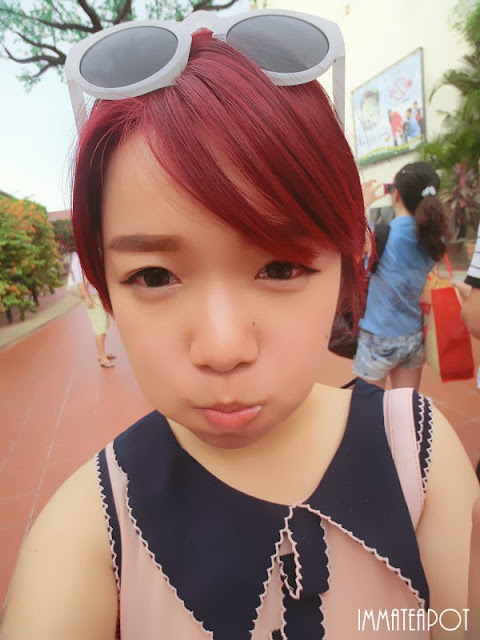 That's all for my Malacca trip in Jonker Street. 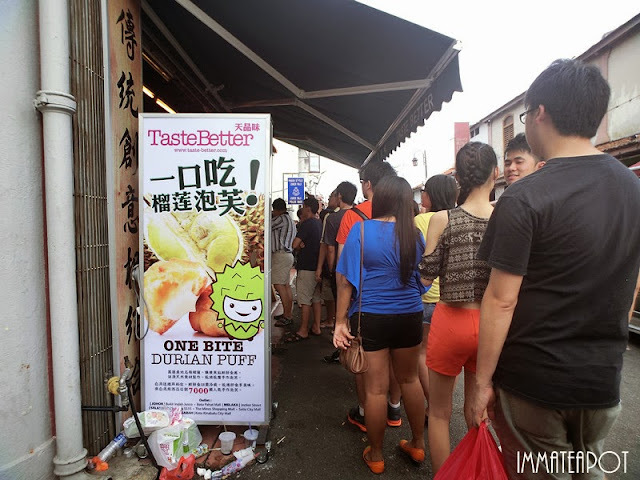 You will definitely have a genuine durian experience paying a visit in Jonker Street.